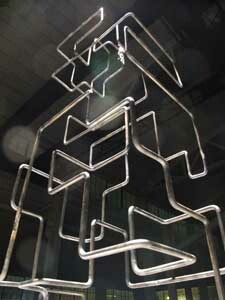 This bouncy labyrinth sculpture constructed from steel rod displays a high degree of aliveness. Mic'd with a contact microphone yields very interesting sound characteristics. See a documentation video here.